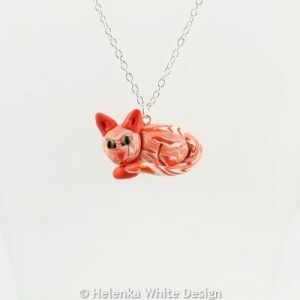 Here you can find my hand sculpted cat pendants. They are made with polymer clay. I can also make these to order. 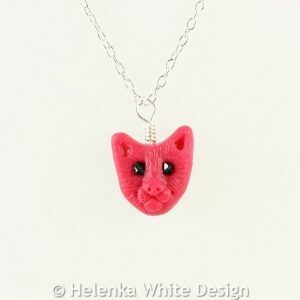 If you want to order a custom made cat pendant you can do this here. 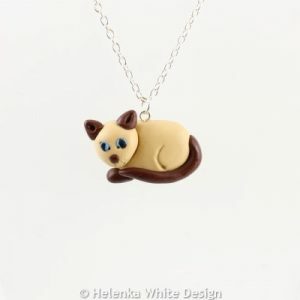 This cute ginger cat pendant has been hand sculpted with polymer clay. It hangs on a silver plated chain. 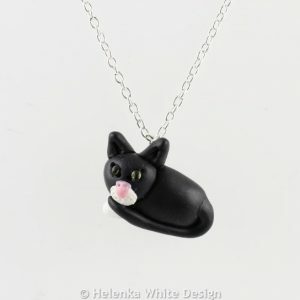 This cute black cat pendant has been hand sculpted with polymer clay. It hangs on a silver plated chain. 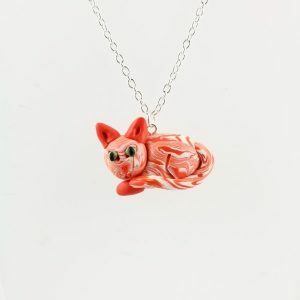 This cute curled up cat pendant is handcrafted with polymer clay in Rubin Quartz. It hangs on a silver plated chain. 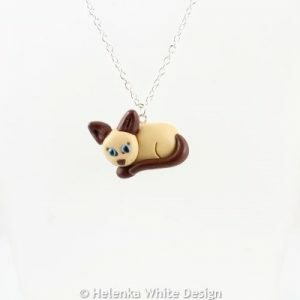 This cute cat face pendant is made with polymer clay in Rubin Quartz. It hangs on a silver plated chain.